Like a bear fresh from hibernation, I was searching for something yummy and my pregnant hormones led me to Yummy Eats 2012 in Rockwell last weekend. 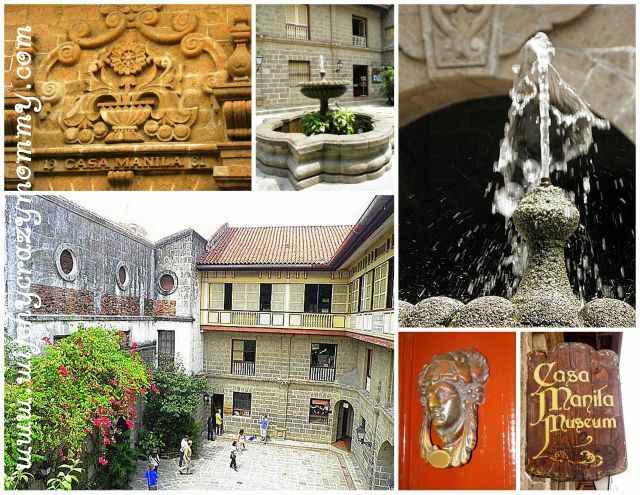 Yummy Eats is fast becoming a yearly epicurean adventure for me and my foodie friend, BisayainManila. We enjoyed last year's Yummy Eats so much, this year we brought our families in tow. 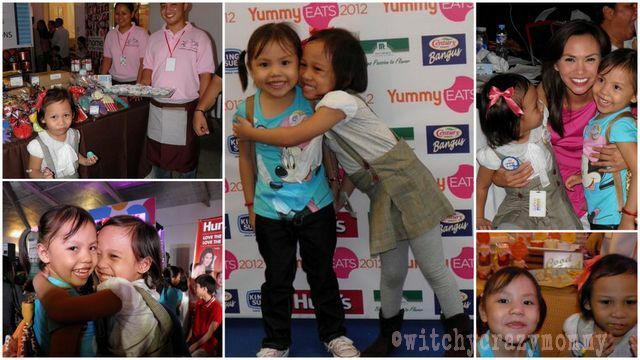 Our two special guests are non other than our mini versions and foodies-in-training, Sofie and Zoe. 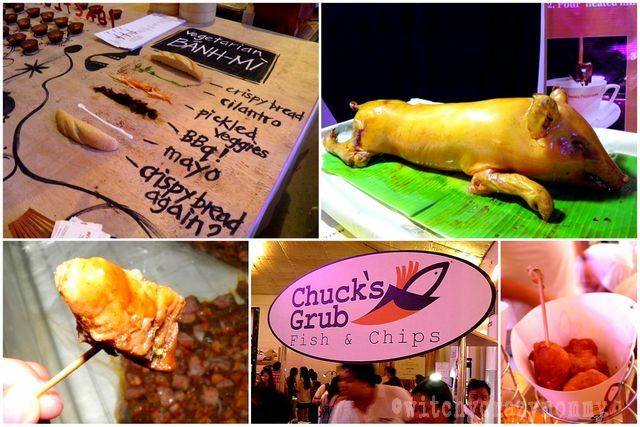 They had an epic time sampling everything from the sweets to the savory treats, it was the ultimate grazing adventure. Of course, it would not be complete without a little "Sofie Type Misdemeanor" targeting no less than the host of the event, Ms. Issa Litton. I'll give you the mortifying details on another post. Yup, it deserves it's own blog post. Gawd! The FOOD is of course, exceptional as always. 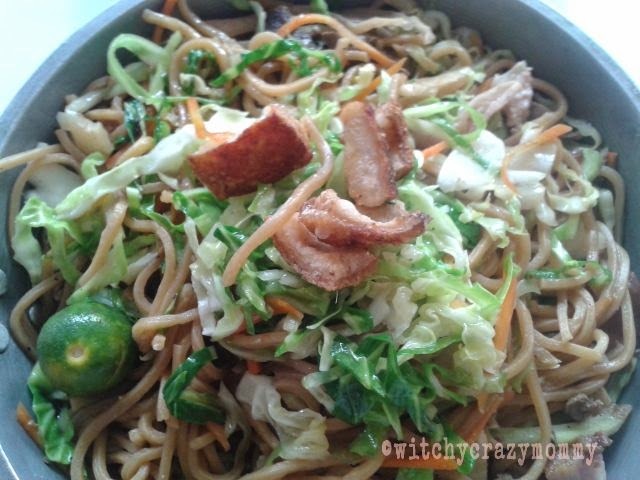 Leave it to Yummy to gather all of my tummy's dreams in one roof. My top pick has to be Margie's Paella, the Paella Negra also had good flavor, you can taste the squid flavor without the fishiness, it was a bit too mushy for me, but the over all flavor was good. The Paella Valenciana had a generous helping of seafood and you can really taste the spices meld well with other flavors. 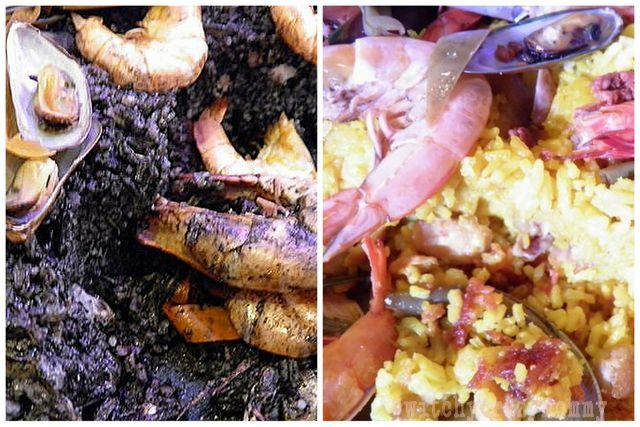 I'd have to say that it comes second to my mom's paella and that is saying a LOT! Another booth that piqued my curiosity is Wabi Sabi. They had vegetarian treats that even my carnivorous family tried. I liked their guiltless tofu chicharon and if you do not know that it's vegetarian it can come quite close to the real deal. Hubby's top pick is non other than the Lechon de Leche from Pepita's Kitchen, the meat was really succulent and the skin, thin and crunchy. Yum! I'm a meat person and nothing pleases me more than a chunk of beef like Dulcelin's US Angus Beef with Red Wine and Port Sauce. It is cooked in a water bath popularized by the French called a sous vide, the meat is sealed in air tight plastic bags and slow cooked for 2 days. The result is a melt in your mouth, full-flavored chunk of tender meat. Yum! Yum! I also tried some of Chuck's Grub Fish & Chips, it's served nuggets style with just the right crunch and the dips really go well with the fish. I tried to exercise a lot of control in the sweet lane, alas I am pregnant, weak and human. I had to physically pull myself away from Little Louie's Cupcakes. Having a Jack Daniels Cupcake sit prettily next to a Bailey's Cupcake all smothered in velvety chocolate is JUST.NOT.FAIR. I have to stop myself from imagining while I write, lest I have one of those tear-filled pregnancy cravings. Again. 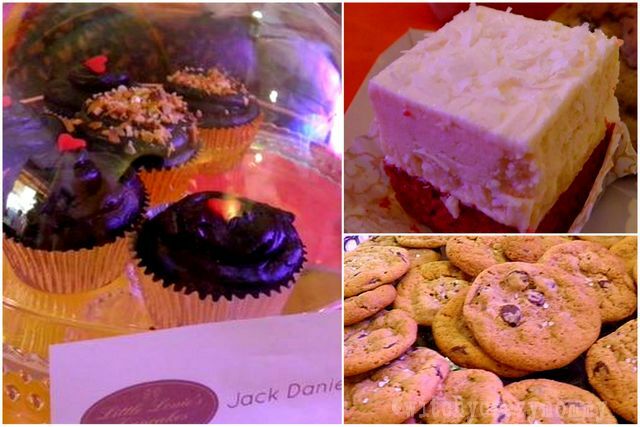 I also sampled some divine treats from Jettee's Kitchen Divine Handmade Pastries. Hubby and I both liked the chewy Chocolate Chip Cookies, it's sweet yet perfectly balanced with a sprinkle of sea salt on top. Another must try from Jettee's is their Red Velvet Cheesecake, it's simply perfect. 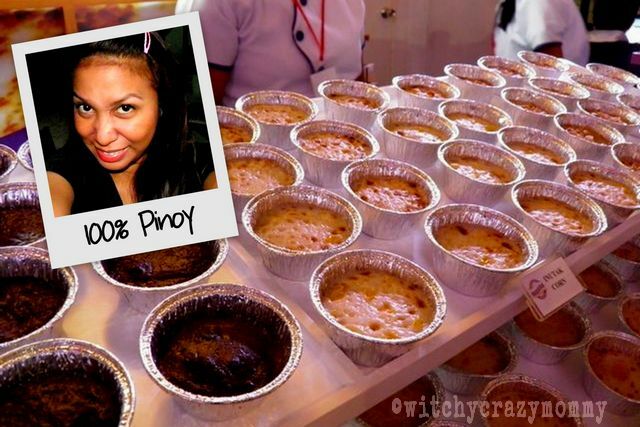 A true Pinay, my top dessert pick is Kristina's Inutak Premium in all it's gooey-Pinoy-goodness. If you are a fan of Kakanin and Sapin-Sapin, you will go crazy over this. They have different flavors, from Classic, Macapuno, Corn, Langka and even a low-cal Lite version. After all of the feasting, trying out Pinkerton's Guava and Basil Sorbet is just what I needed. It's light, a perfect balance of sweet and tart with a hint of basil. This sorbet cleanses the palate and refreshes at the same time. I liked it, but it could very well be an acquired taste since Hubby and Sofie gave me their "bleh" faces when I made them try. Or they could just be picky. Yeah, really picky. Overall, it was an amazing foodie experience and except for the non-air condition part of the venue which was really HOT, we all had a blast. What I love about Yummy events are all the freebies and just look at what I snagged from their raffle. I never really win anything, E-V-E-R! The last time I won something was when I was pregnant with Sofie . . . come to think of it it may be a good time to try out the lottery. What do you think?! Hope to meet you next time around ;) More power to your blog!